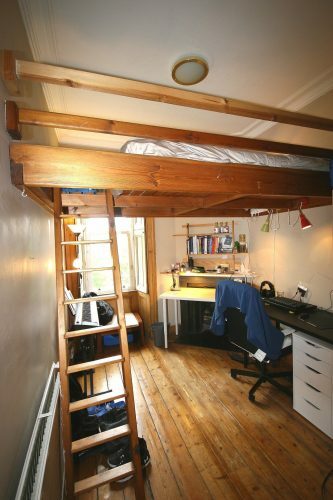 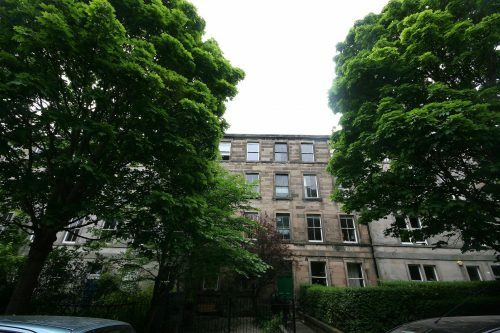 FESTIVAL LET – Bright and spacious third floor two bedroom flat ideally situated in a leafy residential street just off the Meadows, within 5-10 minutes` walk of the Underbelly, Pleasance, Gilded Balloon & C venues. 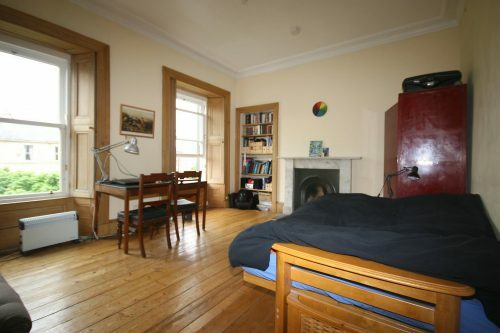 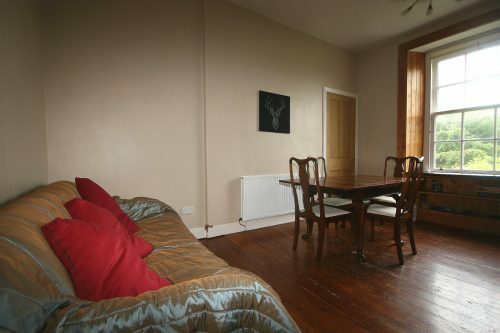 The flat is also conveniently located close to an excellent range of amenities and good local shops. 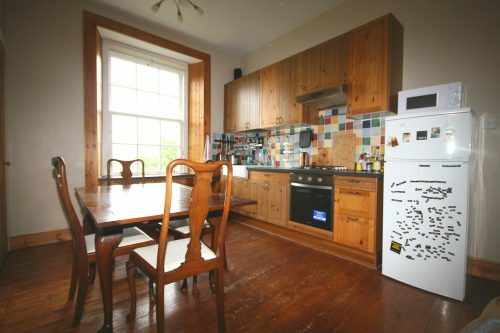 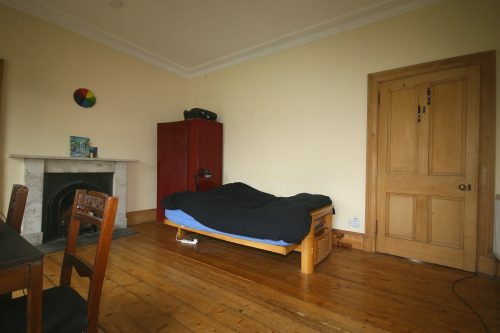 Accommodation consists of an open plan, bright kitchen/diner/ living space with dining table providing seating for four and fully fitted kitchen with modern appliances including washing machine and microwave, two double bedrooms, one of which offers designated writing or studying space and a double bed accessed by ladder to a mezzanine floor and a large family bathroom with shower over bath. 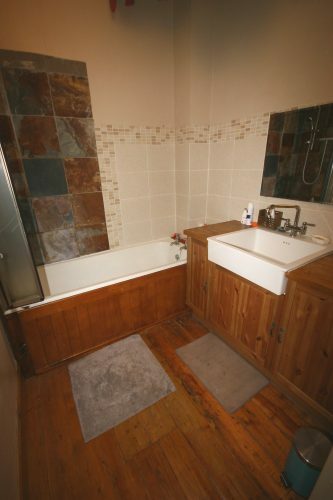 The property also benefits from gas central heating and a secure door entry system.